Young business owners don't need the next Facebook idea to have a successful company. NEW YORK (TheStreet) -- It doesn't take a home-run idea to become a successful entrepreneur, even if you are just a few years out of college. The explosively popular social media networks Foursquare, LivingSocial and Facebook were all founded by people under 30. "It's about simple tried-and-true businesses," says Scott Gerber, founder of the Young Entrepreneurship Council, which he started in October. 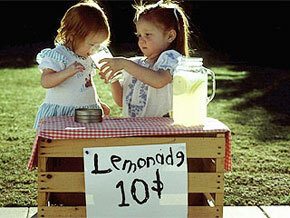 It doesn't take a home-run idea to become a successful young entrepreneur. But there are still rules. "Everybody and their mother think they've got this great idea for the next Groupon or some widget that's going to be another billion-dollar innovation. I don't think that anybody who is rational in this economy should say that. I think we have to produce simple, unoriginal, unsexy, practical businesses," he says. Start-up business owners at any age are sure to run up against challenges, but young entrepreneurs are even more likely to get shut out -- from a lack of credibility, a lack of start-up finances or little "resource allocation," Gerber says. That being said, these days, with unemployment still above 9%, starting a business may be the only viable option for college grads, and with game-changing technology and Web applications, more young entrepreneurs can easily start a business. "Today there are more reasons we can get into business and make it more about selling than us trying to have this massive infrastructure of old that some businesses used to have," Gerber says. "There are a lot fewer barriers to entry than there used to be even five years ago, and that is only going to increase as technology advances even further." Gerber, 27, is the CEO of Gerber Enterprises, a brand development and management company that invests and assists early to midstage companies in the entertainment, Internet, media and marketing industries. Gerber is also the author of Never Get A 'Real' Job and the founder of Sizzle It!, a promotional video company for marketing purposes. Gerber suggests such websites as Weebly.com, Grasshopper.com and Box.net, which can help entrepreneurs get started on a shoestring budget. His Young Entrepreneur Council is trying to tackle the large-scale unemployment numbers of recent college graduates by helping young people start their own businesses. Staying focused is another key factor for successful business owners, experts say. "The entrepreneurial playground is not for the soft-hearted. You've really got to have some tough skin. You've got to be prepared for failure," says Ari Zoldan, CEO of Quantum Networks, a holding company that develops high-tech firms in the areas of wireless, media and GPS. "Being willing to sleep on your mother's couch for two years and be willing to put sweat in the game." Zoldan lectures regularly on how to start a business at The Learning Annex in New York. He says a common mistake that he sees is too much investment in the marketing and image of a business, and not enough on the product itself. "I'd rather see it the other way around," he says. Which brings us to the business plan. Is it even necessary anymore? "We've been told for generations that traditional business plans are how you go about starting a business, and nothing can be farther from the truth," Gerber says. "Why would you waste your time in creating a phone book basically that nobody is going to ever read except you? Frankly, it's basically a large paperweight." Instead Gerber suggests a one-paragraph start-up plan. "It's a fluid action plan so you're always checking it, always growing it based on something very simple, so that you literally are in the market day one, selling day two, earnings revenues day three," he says. Jonathan DeFoy is the co-founder and chief executive of BizTree, a software application company. BizTree's flagship product is Business-in-a-Box, which provides templates for hundreds of business contracts and legal documents. DeFoy started the company with his partner in 2001. At the time he was 23. Business-in-a-Box "answers a very universal need, which is writing business documents," DeFoy says. "I think every single businessperson, especially the small businesses, hate writing contracts. It's long, it's painful, not everybody is good at that and when you spend time writing documents, you're not concentrating on your core." Customers pay a flat $200 for the software application. BizTree has also been making strategic partnerships with such companies as IBM ( IBM - Get Report), Hewlett-Packard Co. ( HPQ, Lenovo and others. While the company serves more than 3 million users in more than 200 countries and territories and has 40 full-time employees, DeFoy says the first couple of years were challenging. First, both he and his partner were wearing multiple hats and working roughly 80 hours a week. "I was the president and at the same time a customer service rep," he says. As a young business owner it was also difficult to convince others to believe in the business, whether that was on the financing side or customers, DeFoy says. To get the company off the ground, DeFoy says, took a combination of government grants, investments from parents and maxed-out credit cards. DeFoy says that, knowing what he knows today, he would have fired employees faster and would have stuck to the flagship product rather than diversify. "We lost a lot of time and money," DeFoy says. "We should have stayed focused with the small resources we had at the time."